America has devoted a substantial amount of effort to helping Syria since the beginning of Syria’s civil war. Since March 2011, Syria has been in a devastating condition. The upheaval started in the Syrian city of Deraa. 15 school-children were arrested and tortured for writing anti-government graffiti on a wall. At first, the protesting was peaceful and harmless, as the people demanded that the children be released. The public also wanted a democratic government and greater freedom for people in the country. However, the protest sparked a negative reaction from the government. In result on March 18, 2011 the army opened fire on protesters, which resulted in the death of four people. To make matters worse, the next day, they shot at all the victims’ funerals, which then led to the killing of another person. In addition, the United States is doing all it can to help Syrian locals have the opportunity to live happily in a safe environment. According to research done by CBBC Newsround, more than “4 million people have fled Syria since the start of the conflict, most of them women and children. It is one of the largest refugee movements in recent history.” The United States acknowledges that Syria is in desperate need of help, however, aid agencies say that getting aid to people inside Syria is very difficult and dangerous due to the strenuous journey refugees must endure at sea. On the contrary, in efforts to compensate, the Obama administration announced that they will be providing $100 million in new Syria aid. With this money, Syria will be a step closer to ending this civil war. 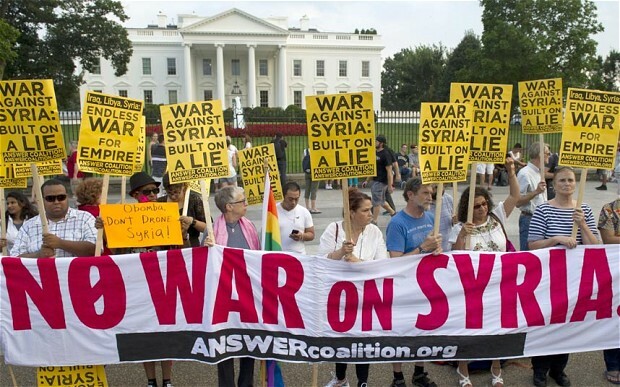 America is constructing ways to help Syria in the safest ways for both parties as possible. “America as a leading power should easily be able to influence Syria’s government,” says Othello Johnson, a sophomore, Psychology major from Stamford, Connecticut. Research has also supported the claim that America has donated the most money to Syria. The financial support from the United States will help buttress 1.4 million Syrian refugees, including many in U.S. ally Jordan, and several of other civilians still undergoing the violence inside Syria’s border. Total U.S. humanitarian assistance in the two-year war is said to climb to $510 million. Among other military options, America did a significant favor for Syria when the Obama administration issued weapons to several vetted units in the armed opposition. This followed the U.S. intelligence assessment confirming that chemical weapons were being used by the Assad regime. The U.S. is also looking for new ways to stop the violent acts that have contributed to the deaths of more than 70,000 people. While, at the same time, keeping a guard up about sending direct military assistance, because of the growing incidences of al-Qaeda linked attacks and other extremists in the rebel ranks.